Cabbage is a low calorie vegetable but with good amount of carbohydrates, fiber, vitamins and minerals. 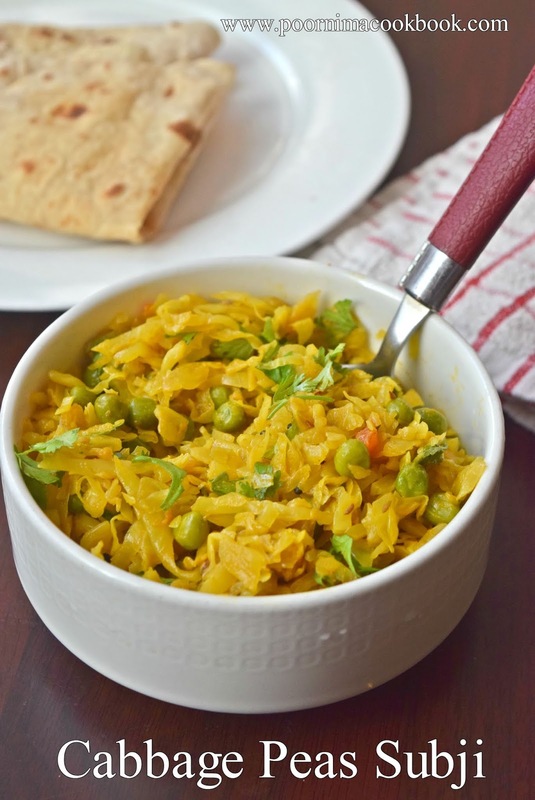 It's a boon for weight watchers because of its low calorie content. 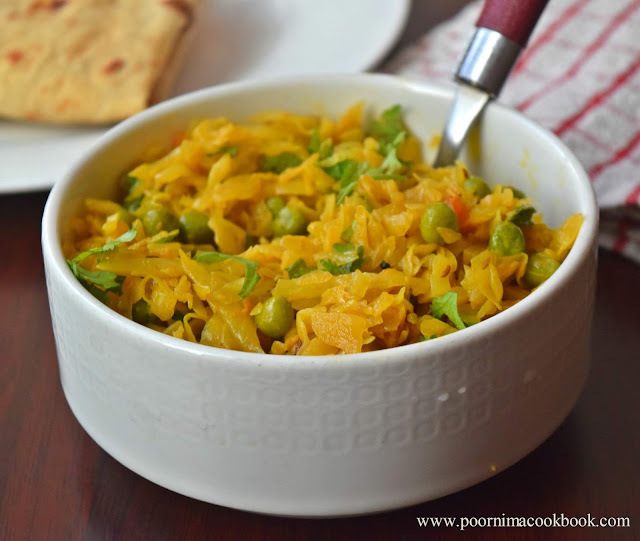 This cabbage peas subji is easy to make, delicious, mildly spiced veg curry / Subji which goes with Chapathi /Phulka. Heat oil in a pan, season it with cumin seeds. After it splutters, add finely chopped onion and fry till colour changes. Now add ginger garlic paste, chopped tomatoes with little salt. Once tomatoes become soft, add turmeric powder, red chilli powder and coriander powder ; give it a thorough mix. Add the grated cabbage, cooked / thawed green peas and water (just sprinkle). Give it a mix. 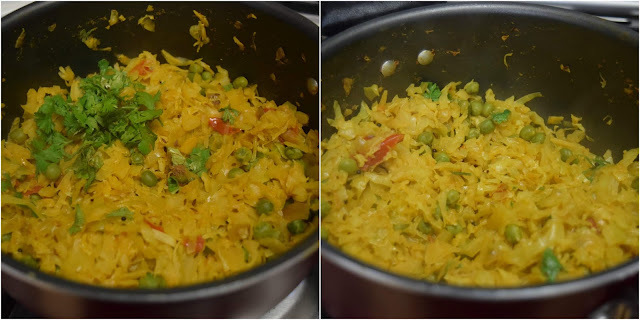 Close the pan with a lid; cook in medium flame till the cabbage and peas becomes soft and water dries..
At last add garam masala and coriander leaves. Mix well and switch off the gas. 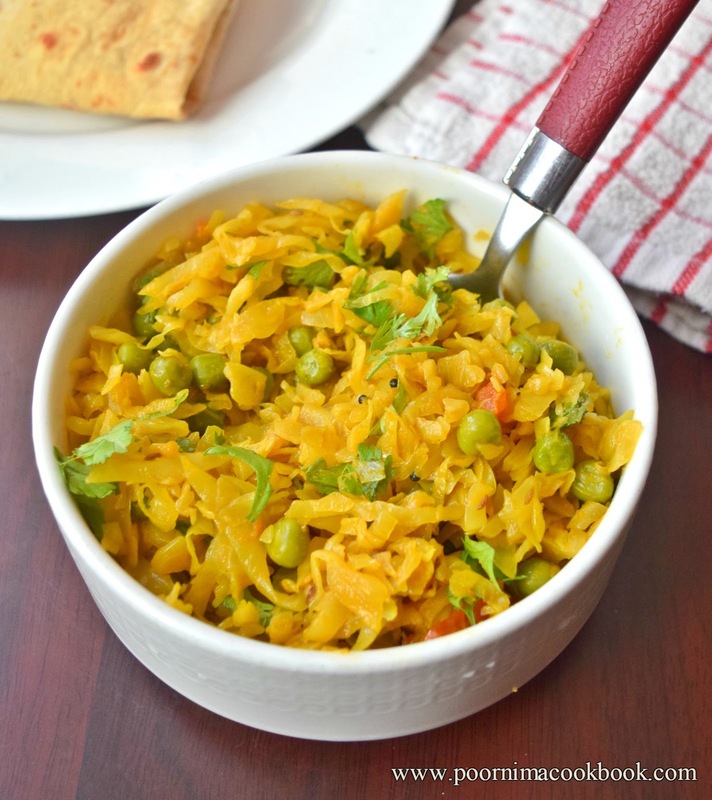 Serve it along with chapathi / Phulka or use as a stuffing for bread.